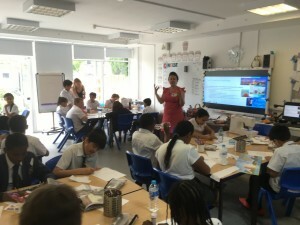 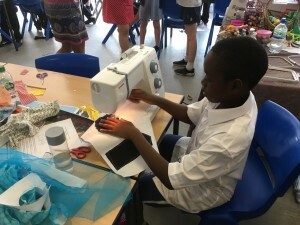 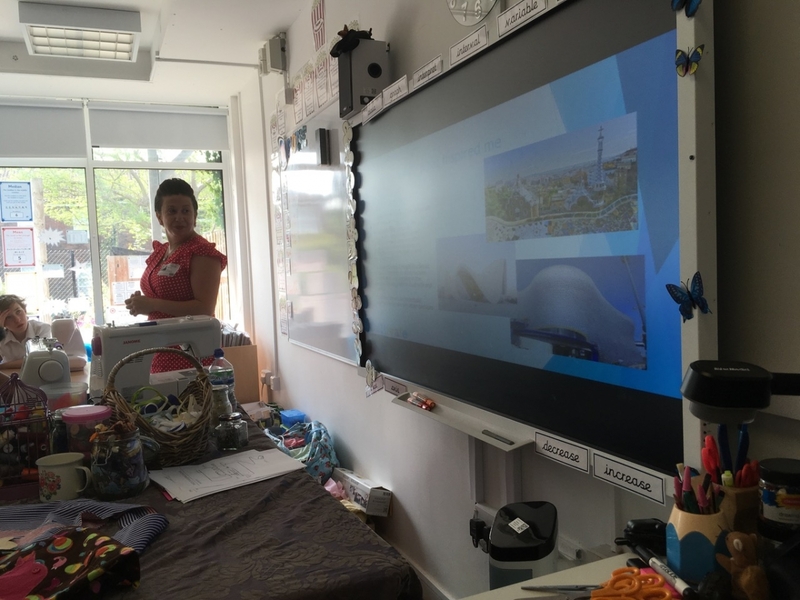 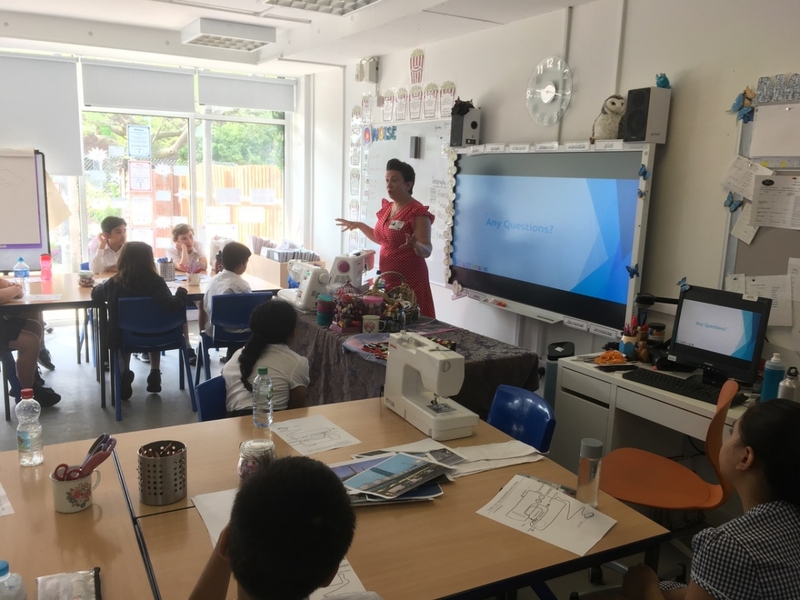 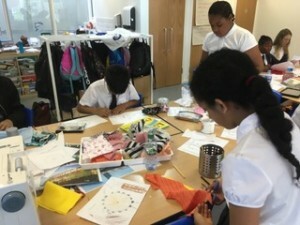 Tuesday was a day in a school in Wimbledon for a ‘Cultivate Routes – creative careers workshop’ I must admit I was a bit nervous talking and sewing with 28 kids for the day, but I needn’t have been. 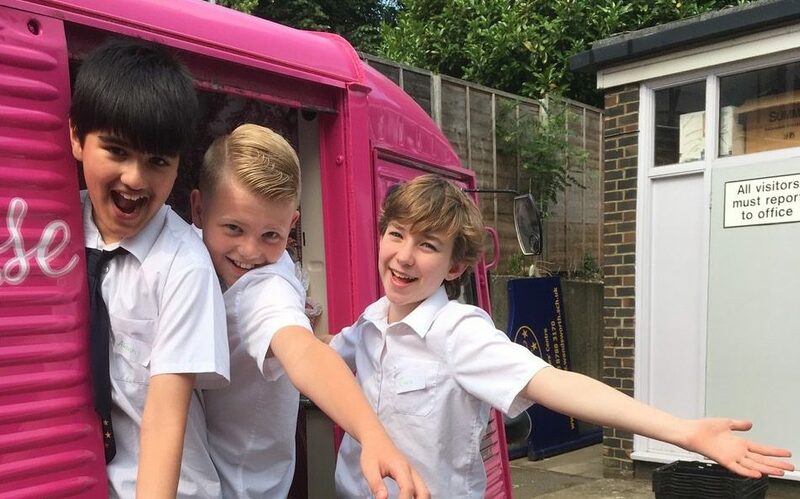 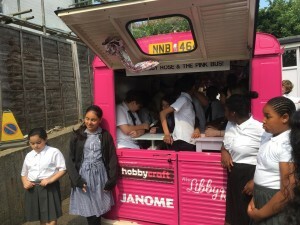 The day started with me unloading the Pink Sewing Bus into the classroom in advance of the kids starting the day! 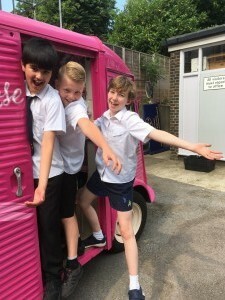 I had pre-cut white fabric squares and after a small presentation of ‘about me’ my journey to date, the pink sewing bus, how I get inspired, Architecture and fashion we had some fun playing with the sewing machines and before break time all piled into the pink bus for fun! 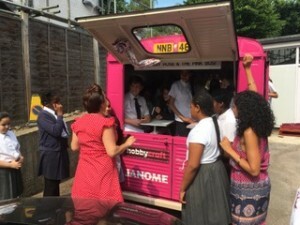 and yes, we set a new record fitting 20 kids inside! After a break we set to work creating and designing around the white fabric squares with the theme ‘London and Beyond’ we got busy drawing, cutting fabrics and using ‘Bondaweb Vliesofix’ to fix our applique pictures to the squares and then get sewing! 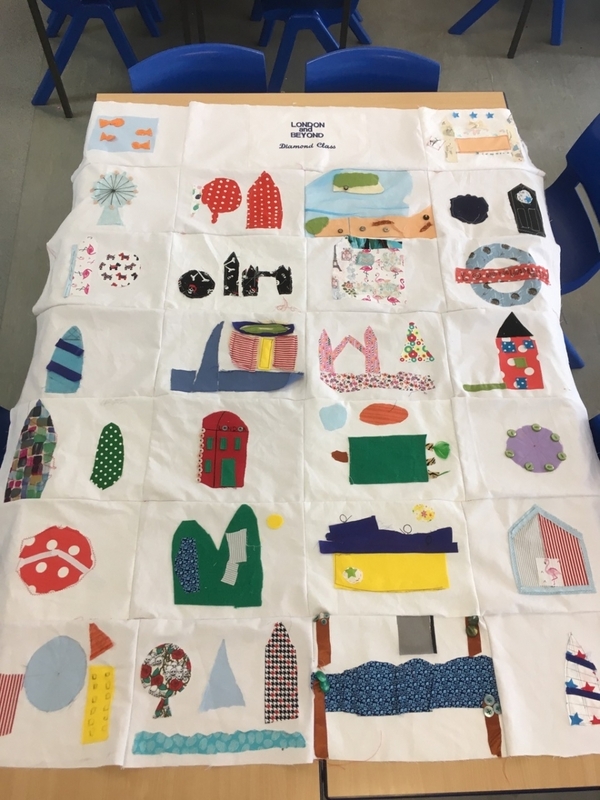 The results were inspired and all so different – see the images of the whole piece of artwork finished result with of course the added brilliance of the janome embroidery! Previous post: Let’s Make a Kimono style wrap top!